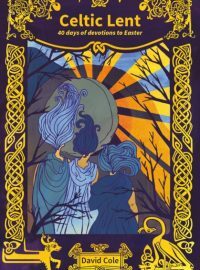 This inspirational book takes the reader through the 40 days of Lent to the celebration of Easter through the eyes and beliefs of Celtic Christianity. Drawing on primary sources of pastoral letters, monastic rules and theological teaching of the Celtic church, the author presents a different perspective on the cross of Christ and draws us to see our own life journeys with a new and transforming vision. 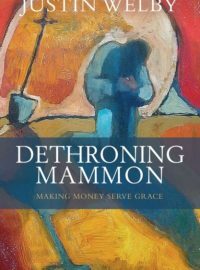 The Archbishop of Canterbury's Lent Book for 2019 Global in scope, but homing in on the role ordinary people play in conflict and division, Reconciliation enables Christians to engage confidently in a ministry bequeathed to us by Christ himself. 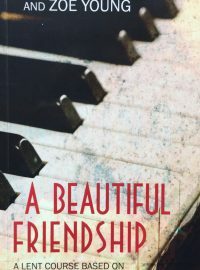 The book issues a vibrant call to the Church to support and strengthen relationships among church members; to cross borders to build connections with different denominations; and to maintain open attitudes towards our neighbours from other religions and ideologies. 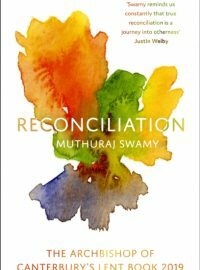 Forty biblically based meditations introduce topics such as impediments to reconciliation, risking the self, humility and self-criticism, radical openness to the other and peace with justice. Questions for reflection are included, making Reconciliation suitable for use at weekly gatherings or for everyday devotion during Lent. Everyone know that Abraham is one of the most important characters in the Bible. But why should a man who lived nearly four thousand years ago still matter to Christians today? 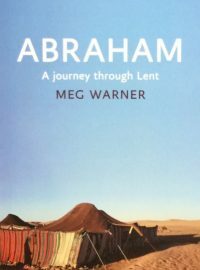 Join Meg Warner and meet Abraham as you’ve never met him before. Read a story of journeying, challenges, doubts, false turns and unbelievable promises. And through that story encounter a God whose love and faithfulness remain constant despite all our mistakes and uncertainties, and whose promises always come to fulfilment. What controls us? What gives meaning to our lives? How can we live a life shared with others? 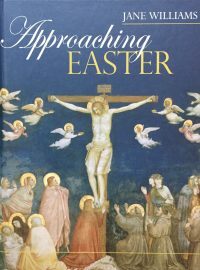 The seasons of Lent and Easter are traditionally times to reflect upon such fundamental questions as these. 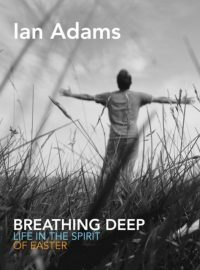 In this gentle, reflective book, Jane Williams encourages us to make space for reflection and, in so doing, to draw closer to God. Many of us conceive of Lent as a negative time, a time to give things up. Jane Williams, however, encourages us to hear the good news that God loves us, to try to believe it for ourselves, and then to spend the forty days of the season attempting to find out what that means. 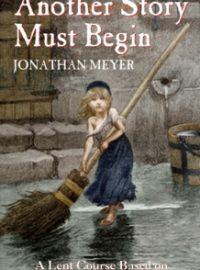 In each chapter she blends personal story, spiritual reflection, and quotations from Scripture or other sources to offer an imaginative and powerful way into the meaning of the season. 'These are prayers with the all-too-rare quality of being freshly minted and imagined in a different register. They're evocative, playful and searching, and they demand a return visit.' John Pritchard, Bishop of Oxford. 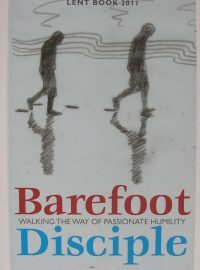 'In this book humility and grace come together to take us on a journey through Lent that will lead us closer to God. This is no easy journey, it is rooted in reality and honesty...There are moments of wonder and joy, times of challenge and struggle, and at the end a simple Amen.' Ruth Gee, President of the Methodist Conference. 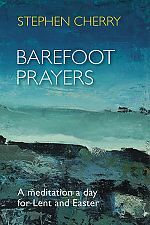 A collection of meditations from a wide spectrum of classic and contemporary Christian writers. 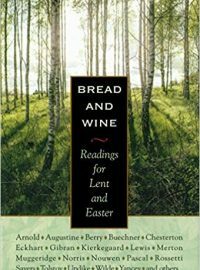 A time for self-denial, soul searching, and spiritual preparation, Lent is a fitting season for daily reading and reflection. Hence this book, which offers meditations from a wide spectrum of classic and contemporary Christian writers. Containing selections grouped around such themes as temptation, crucifixion, resurrection, and new life, Bread and Wine can be dipped into at leisure or used as a guide to daily devotions - and returned to at any time of the year for spiritual revitalisation, For breadth of scope and depth of insight, nothing rivals this collection. 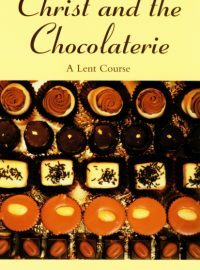 Christ and the Chocolaterie is an original, innovative and lively Lent course inspired by the film Chocolat, which was in turn based on the best selling novel by Joanne Harris. Using the film as a starting point for exploring issues about God, the world and what it means to be human, Hilary Brand has designed five group sessions on the themes of: ● Giving up – the prelude to change ● Giving out – the power of a gift ● Getting wise – the possibility of change ● Getting real – the power of acceptance ● Growing up – the process of change Each session includes extracts from the film, group discussion, questions, exercises and meditations, suggestions for individual reading and related Bible passages for further daily reading plus notes for group course leaders. Christ and the Chocolaterie also includes appendices on the curious history of chocolate, the unfair economics of chocolate and ideas for a chocolate feast.